The front longitudinal beam (FLB) is the most important energy-absorbing and crashing-force-transmitting structure of a vehicle in a front crash. Its structure directly determines the safety performance of a car in front collisions and the effectiveness of passenger protection. In this study, a new structure, variable-rolled-blank and variable-cross-sectional-shape FLB (VRB-VCS FLB), is developed. It possesses both the continuous variation of thickness and variable cross-section shape in space. 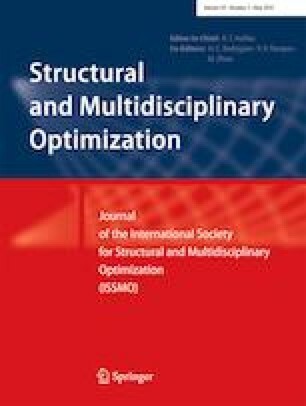 To make the VRB-VCS FLB structure more lightweight and crashworthy under reliability constraints, multi-objective reliability-based design optimization (RBDO) is performed in this paper. The multimodal radial-based importance sampling (MRBIS) method is integrated into the multi-objective RBDO to solve the system reliability for multiply-constrained problems, while the non-dominated sorting genetic algorithm II (NSGA-II) is used for solving deterministic optimization. The numerical results show that the crashworthiness performance and reliability of the VRB-VCS FLB is significantly improved when compared with uniform-thickness FLB. The authors would like to thank the support of National Natural Science Foundation of China (Grant No. 51805221, 61232014) and Research Project funded by China Postdoctoral Science Foundation (No. 2018M640460). The authors also wish to thank Jiangsu Planned Projects for Postdoctoral Research Fund (NO. 2018K018C). This work was supported by the high-performance computing platform of Jiangsu University.